Primarily used in rolls based on different widths. You can have it made with different flutes to produce better print. It is 100% recyclable and very cost-effective. It minimizes product damage in transit. 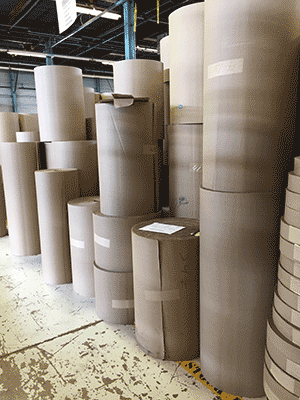 Most of our clients use this instead of corrugated boxes to either reduce packaging skus or as void fill.